Hailing from a wide range of backgrounds, and raised in a predominantly Indian culture, Jah Tung has carved a niche for himself within the diverse communities of Bankstown. As an up and coming Rastafarian artist, Jah Tung faces limited opportunities for growth in Sydney, and is currently looking at expanding his horizons and influence. 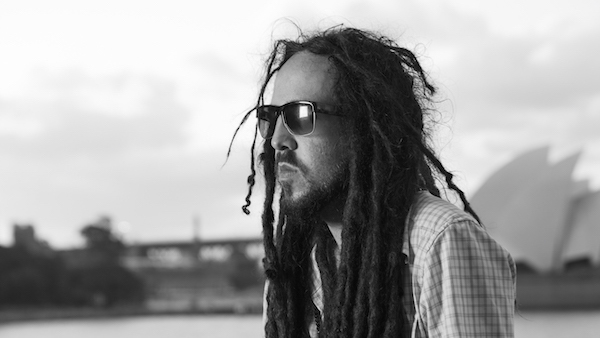 Driven by his passion to inspire others, and his belief that strength comes from the unity of people, Jah Tung strives to connect with our inner identities through his music and art. I was born in Greenacre hospital, which no longer exists, 1989. Describe the place you spent your childhood? I grew up in Bankstown, border of Condell Park and Bankstown, surrounded by a lot of multiculturalism and many faiths. I guess Western Sydney is sort of considered the ghettos of Sydney, you know what I mean? It’s sort of the outskirts, I guess they would call it the lower class, you know what I mean? A sensory memory. Probably my mums cooking. Yeah my mum’s curries and stuff would just always fill the house with the smell and yeah, the best food. Revesby, so still pretty much Bankstown. I mean I guess I feel at home wherever I am, because I don’t really attach myself to a place. Definitely being with the family, and I love the nature that we are blessed with here in Australia. But apart from that, there’s not a lot. At the moment, I feel suffocated in Sydney, you know there’s not much opportunity for an artist, especially a cultural artist or a spiritual artist, who need a bit more room to grow. Well I have always known in one way or another that music was my thing because when I was younger I was a dancer, I was a big Michael Jackson fan and I used to dance a lot. My mum would make my costumes and I would enter talent quests so I always knew it was there from the beginning. But as I learnt instruments and then started writing songs and stuff, it became clearer what my mission was. Being on stage, inspiring people and just uniting and uplifting people really. The most difficult thing, I think I’m still trying to overcome. Probably just trying to get my music past the boundaries in Sydney, I think that’s a big barrier musically. Heartbreak. Definitely romantic heartbreak in the past, that’s been a big hurdle to get over. I guess through self-reliance, and learning not to rely on others too much. Interaction is good and the exchange of energy and different creative minds on projects. But also, learning to be independent and still have the drive. That works the same with romance, because how can we truly love someone else if we don’t love ourselves yet? Self-reliance is very important. I think a lot of people now, with technology are constantly being drawn away from real life connections. A lot of people don’t know how to be alone without being lonely. And I think that’s a very important thing to be able to be on your own and be happy and achieve what you want to do without relying on someone else. Just to be. To exist. Mindfulness. I think we are so caught up. Sydney has a very capitalist mentality, and people are so caught up in their jobs or their own individual goals that they lose sight of the bigger picture. I think, freedom is something that’s very misinterpreted, you know. Obviously, we are very blessed in Australia, we do have a lot of freedoms that other countries don’t have, but there are still a limited range of choices. And for like someone like me, many people here have very limited understanding of reggae music or Rastafari, and so, that’s very restricting for me. But many people have it worse than I have, so, once again, I give thanks for my situation. I read your name is Kane Lush…I hope it’s not too personal, but what is your cultural background? There is some very mixed heritage, there’s Polish, German, Irish, Italian, Spanish, Portuguese, Indian. My parents are from India, and my parents came here when they were younger, so the culture of my family is pretty much Indian. That’s why growing up in Bankstown, and being exposed to so many cultures, I didn’t really identify with how I was categorised, because of being physically white and blue eyed. But it has taught to me to let go of physical identities and search for something deeper and more meaningful.